5 of 8 Citizenship By Investment Programs In The Caribbean - Caribbean & Co.
Britain’s vote to leave the European Union combined with Donald Trump recently winning the Presidency of the United States has not dampened the demand for second passports via Citizenship By Investment Programs. In fact, the interest in second passports by ultra high net worth individuals from across the globe will most likely increase as they seek to increase visa-free travel and international flexibility while at the same time protecting their wealth and family security. 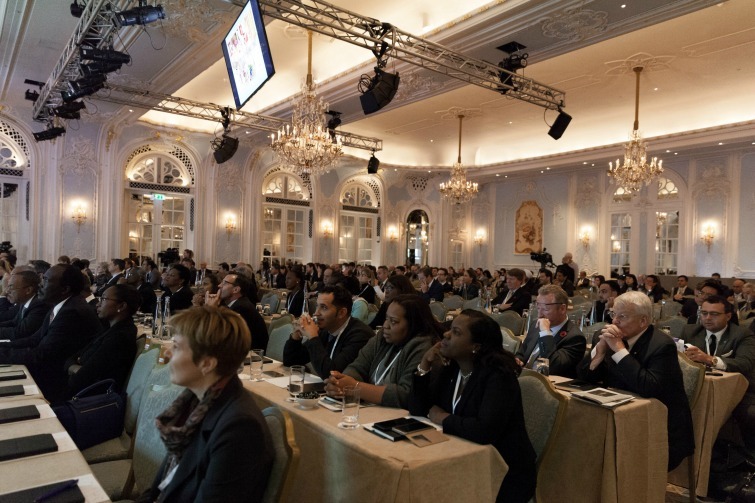 This point of view was repeatedly iterated at the recently held 10th Global Residence and Citizenship Conference. 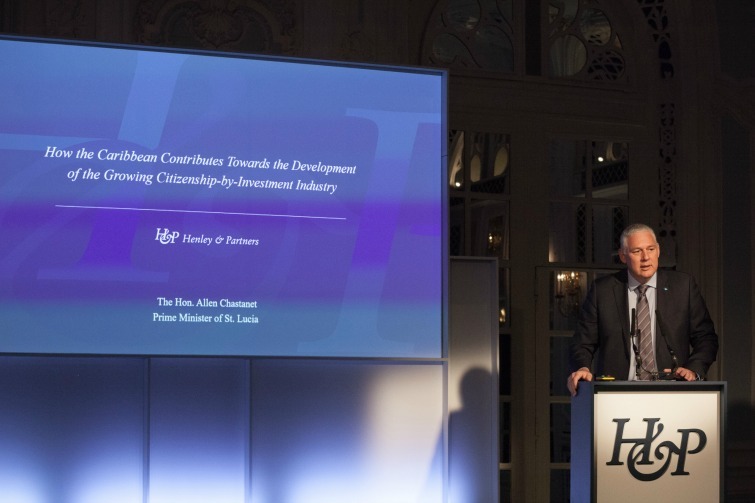 The three-day investment migration conference organized by Henley & Partners a global leader in residence and citizenship planning took place at the swanky Savoy Hotel in London and was attended by Prime Ministers and government officials from the leading Citizenship By Investment Programs including those from the Caribbean along with 400 industry experts, advisors, and partners. 10th Global Residence & Citizenship Conference – Saint Lucia Prime Minister The Hon. Allen Chastanet. Photo Credit: ©Henley & Partners. Insight and spirited discussions were held on such topics as Brexit, global migration, the quality of nationality, dual citizenship as a strategy for global mobility, tax transparency and of course the latest on the increasing Citizenship By Investment Programs which for some equates to nothing more than to buying a membership in an exclusive club. This productization of citizenship is controversial as some argue that a passport should never be sold, it should not carry a price tag, it should only be granted through birth or more traditional immigration. Others are against the programs due to the potential for abuse from lack of transparency and the fact that many, especially those in the Caribbean do not have a residency requirement thus there is often no long-term connection by the applicants to the country. Others are also worried about the negative repercussions from granting a passport to an applicant who may be laundering money or worse yet turns out to be a terrorist. 10th Global Residence & Citizenship Conference attendees. Photo Credit: ©Henley & Partners. Despite these objections, the number of Citizenship By Investment Programs is increasing as they help to increase the flow of Foreign Direct Investment (FDI) and in term fuel growth in the economy. For example, during 2014 fiscal year, the government of St Kitts & Nevis which has the oldest Citizenship By Investment Program and who recently lost visa-free access to Canada due to irregularities with their program generated EC$767.9million in revenue. Fifty percent – EC$383.7million was derived from taxes, and most of the other EC$384.2million non-tax revenue was generated from fees from the Citizenship By Investment Program. Is this growth in Foreign Direct Investment for St Kitts & Nevis and the rest of the Citizenship By Investment Programs sustainable despite the objections? Well, only 15% of the world’s population hold citizenship from leading countries like the Australia, Canada, the United States, the United Kingdom and those in the European Union. These Western and European countries despite their challenges are attractive to the global elite from the remaining 85% born in such countries like China, Russia, India, and Lebanon because they are wealthy, politically secure and provide easier access to other parts the world. For example, Malta has a Citizenship By Investment Program which provides an opportunity to work and live in Malta plus the other European Union countries. A Maltese passport also provides visa-free travel to Canada, China, and the United States. That is not the case for someone who carries a Chines or Russian passport. 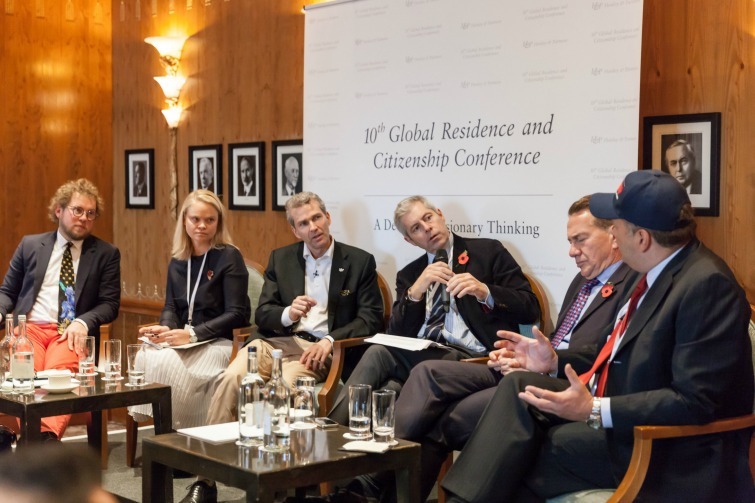 10th Global Residence & Citizenship Conference – panel discussion with the media. Left to right: Professor Dr. Dimitry Kochenov, Chair in EU Constitutional & Citizenship Law, University of Groningen, + Annis Lampard, Director – Deloitte UK + Dr. Christian H. Kälin, Group Chairman, Henley & Partners + Justin Webb, BBC Journalist + The Rt. Hon. Michael Portillo, Journalist, Broadcaster & Former UK Member of Parliament + Dimitry Afanasiev, Chairman, Egorov Puginsky Afanasiev & Partners. Photo Credit: ©Henley & Partners. So what are the current Citizenship By Investment options? Well, there are currently eight countries which have legislation authorizing the procurement of citizenship after making a substantial investment. 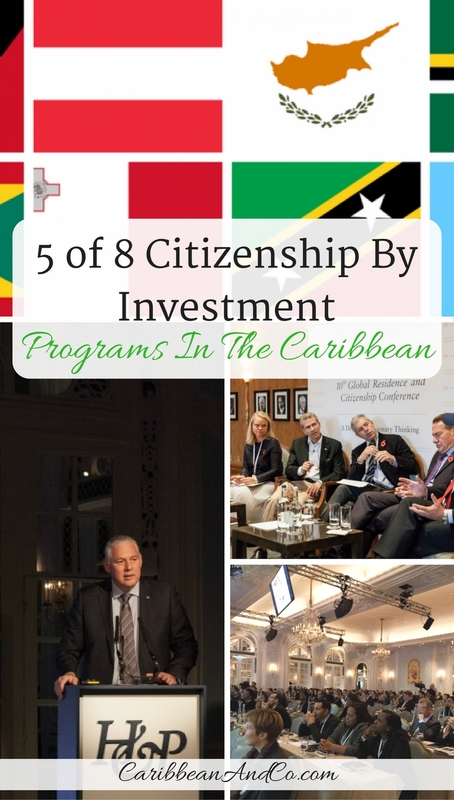 Five of the Citizenship By Investment Programs are in the Caribbean, and the other three Citizenship By Investment Programs are in Europe. It should be noted that in addition to the minimum investment, applicants will also incur government, due diligence and advisory fees which will increase the funds required for securing Citizenship By Investment. Also, programs like the Saint Lucia Citizenship By Investment Program currently require applicants to have a minimum net worth of at least US$3million. Despite these costs and the sentiments of those who voted for Brexit and a Donald Trump Presidency, this US$2billion industry is expected to increase with demand.